"I spent three months working in an abortion clinic." When I first walked into the clinic, I was bracing myself. The clinic was closed – it doesn’t take patients on a Tuesday, just Maria the medical steriliser doing some paperwork upstairs and Suraya the receptionist organising bookings and interstate patients for later in the week behind the front desk. I was in an abortion clinic for the first time – and I’m not sure what I thought I would see, but whatever I expected to jump out at me, it wasn’t there. Suraya gave me a tour, and the camera crew – just one camerawoman and a sound guy – explained how patients first arrive, then see a nurse, then consult with the doctor, then consult with the anaesthetist, then go in for the procedure and then spend time in the recovery area, they don’t leave until they are deemed ready to go by nurses. She has to fend off partners and family members who are anxious to pick up their girlfriend, wife, daughter, sister or mother – clients won’t be leaving until the anaesthetic has worn off and they’ve been fully briefed on aftercare. 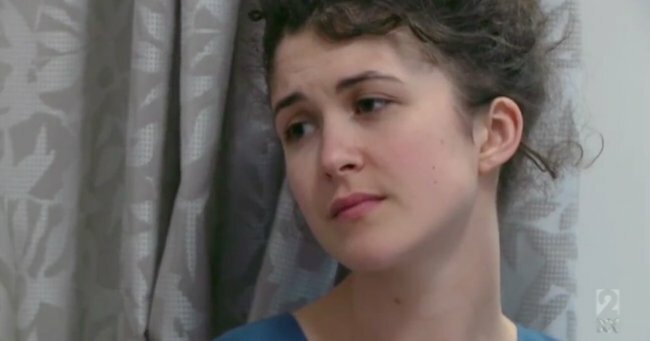 After nine weeks at the clinic, Maddie discovered there are as many reasons for abortion as there are women who have them. Post continues below. I was there to begin making a documentary for the ABC about what it means to work in an abortion clinic. I spent the next three months working alongside nurses, doctors and support staff helping to provide women safe and legal abortions. And it was, in some ways, like any other workplace: a sign above the sink in the staffroom reads “wash your own dishes please”, there is a time to arrive and a time to leave, a lunch break in the tea room with small talk and friendly chatter, and staff with a busy life at home. But in other ways it was unlike any other job: here in an abortion clinic the staff are caring for people who have made a choice to terminate their pregnancy, they have to work under threat from pro-life organisations (with occasional death threats and fake bombs delivered to the office) and often keep their job a secret from friends or family. On my first weekend at the clinic (with no cameras, it took six weeks before we began to film, with privacy and sensitivity to the women) there were two girls under the age of 15 who had been raped – the police were involved in both cases. When the mother of one of them tried to talk to me for the documentary because “she wanted people to understand and then started to cry and couldn’t speak, I was floored by how life can give people such tragic challenges. It’s not fair. I went home that night speechless, and still don’t quite know how to describe the feeling. Over the next three months though, I met people with stories very different to this, ones for whom, in fact, the decision was not difficult to make: a mother of four in her 40s who felt she couldn’t support everyone adequately and was too old, couples in their late 20s who weren’t ready. There were women I met for whom this wasn’t a traumatic and laboured choice, but something they felt very clear about. The reasons were as numerous as the women coming in. A woman with a debilitating illness, a woman who had just given birth to a five-month-old child and who’s husband was dying from cancer, a teenager who wants to finish school, an addict who had been drinking and taking drugs heavily unaware she was pregnant, a woman who was in an abusive relationship, a couple caring for two high-care children on single, low income. Some were simply still girls. From my small experience at the clinic, it seemed that quite a bit of the stress surrounding abortion was correlated with pressure on what decision to make. Some women are under pressure from their partners or parents to either continue or terminate. Others were under pressure from their expectations, their beliefs, their dreams and their fears. Watch the trailer for Maddie’s show “Inside The Clinic”. Post continues below. Everyone I met was navigating their choices amid pressures. But some were sure — and didn’t need to seek advice. Others had consulted with family and friends. Others had chosen counsellors. But I can honestly say I didn’t meet a woman who didn’t seem to comprehend the reality of her choice. No matter the age, the women I met spoke to me about the potential life their pregnancy might have — what would it be like? I made them cups of tea or cordial and they would talk of what this pregnancy would mean to the other people in their lives — current children, partners, parents and themselves – and what all those people would mean for it. It seems to me, after hundreds and hundreds of conversations, that a mother and child’s lives are intertwined, when she thought of the person her pregnancy could become she was thinking of herself, when she thought of herself she was thinking of her pregnancy. When speaking with the women in the clinic it was so important not to add to the pressure. I entered bracing myself for something – I expected the taboo of abortion to knock the breath out of me. But while the taboo was there – in some whispers, and beneath some fears, my shock at the blood when I first helped Maria clean and sterilise the medical equipment – what I really found was just real people. Doctors, nurses, poor, rich, emotional, rational and complex. I listened, and I didn’t feel like I was hearing a bad or evil thing, but rather listening to the honest and naked side of humanity. I listened and didn’t add my view – these women were under enough pressure already. It was the woman’s choice to make, it will be her responsibility. As it will be her responsibility, it has to be her choice. By the end of my time at the clinic I was in awe of people’s resilience, but tired of myself. It’s not really like any other job. But in so many ways it is so everyday. The women and men who worked there were modest, normal people – but extraordinary in the work they do. And the women and their support people coming through were from every walk of life, but all facing one of those times when there is a choice to be made and sometimes only grey answers. And it was inspiring to see them make their tough choice with maturity and courage.